Meridian, Ontario’s largest credit union, The Learning Partnership and Tiny Hearts have teamed up to develop Save The Camp! 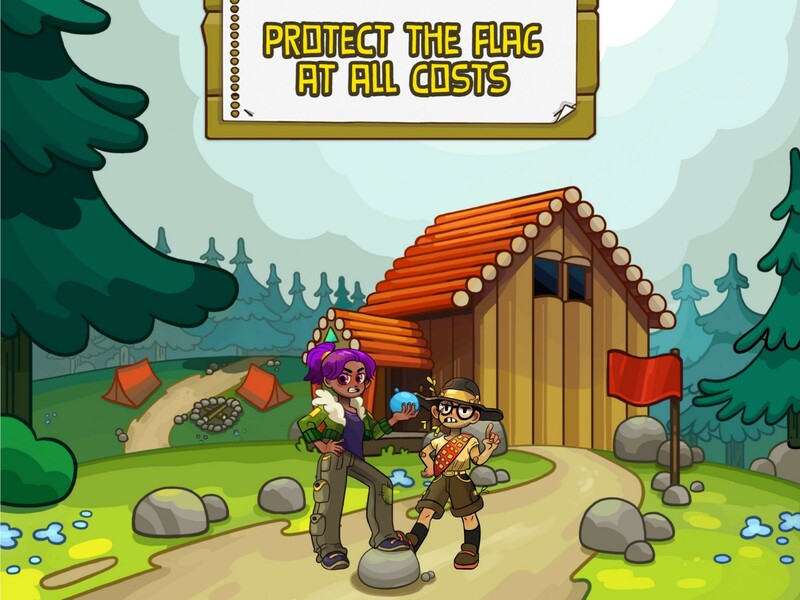 a mobile game designed to teach money management skills to students in grades 7–10. Please see the bottom of this kit for contact information and thanks for taking the time to learn about Save the Camp! In late 2015, Meridian and The Learning Partnership decided to join forces and address a longstanding challenge: building financial literacy skills in Canadian youth. They knew this was going to be a tough topic to get right — over 80% of young Canadians are not confident in their financial knowledge, and educators have identified that a lack of quality resources makes this issue particularly difficult to address in their classrooms. It was clear that a creative solution was needed. To find one, the two organizations turned to Toronto based developers Tiny Hearts — creators of apps EmojiParty and Real Talk (to name just a few). 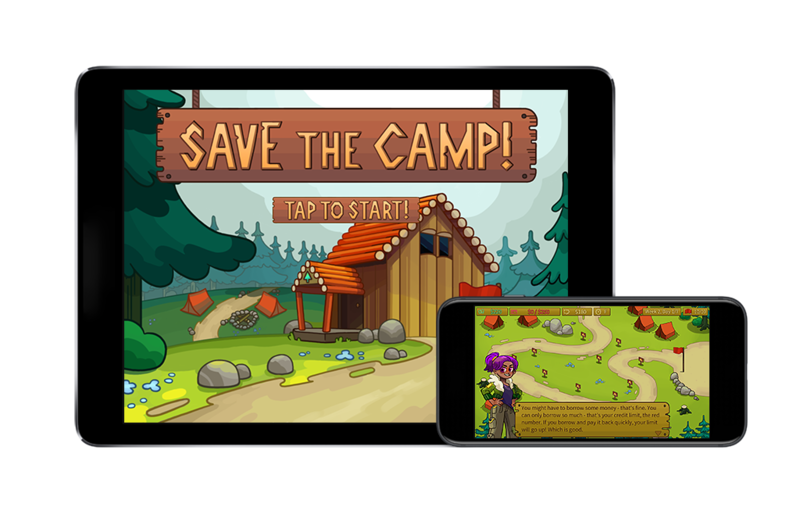 They landed on the idea of using a game to make this traditionally difficult subject more relatable, and soon after, Save the Camp! was born. Within months, the team was busy building the game in Unity3D while leveraging student input to refine its look and feel. The game will soft launch on web in December and release on the App Store and Google Play by early 2017. Save the Camp! 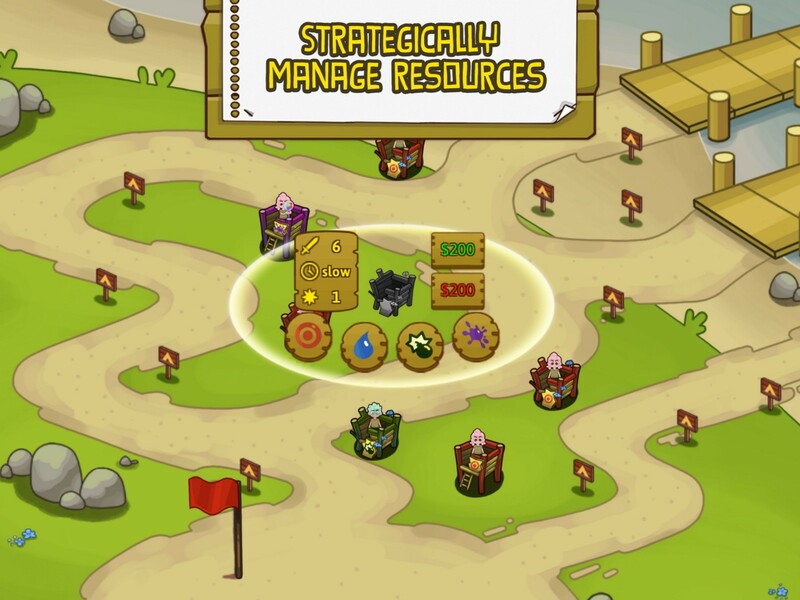 Is a tower defence game where success depends on how well you manage your money. 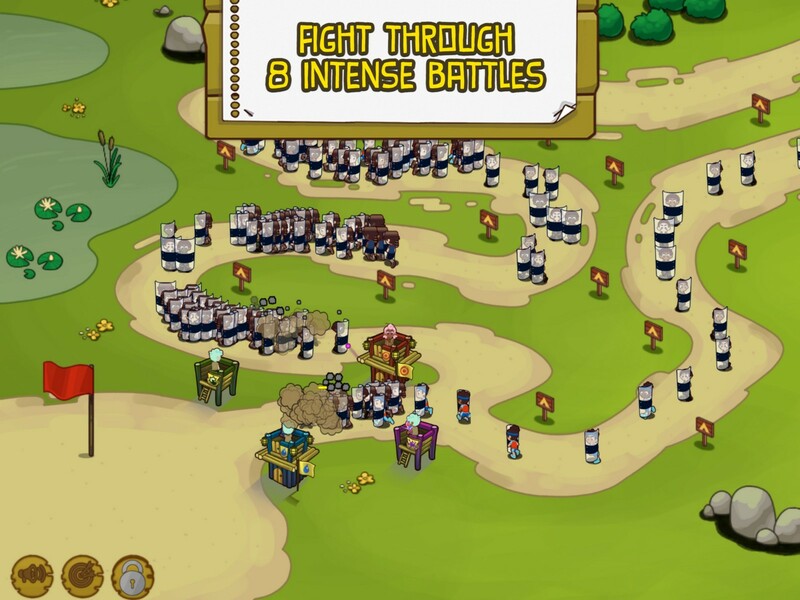 The game features everything players have come to know and love about tower defence — repelling waves of enemies with an arsenal of unique towers — but puts a spin on the genre by focussing on how players allocate their resources and save for the future. 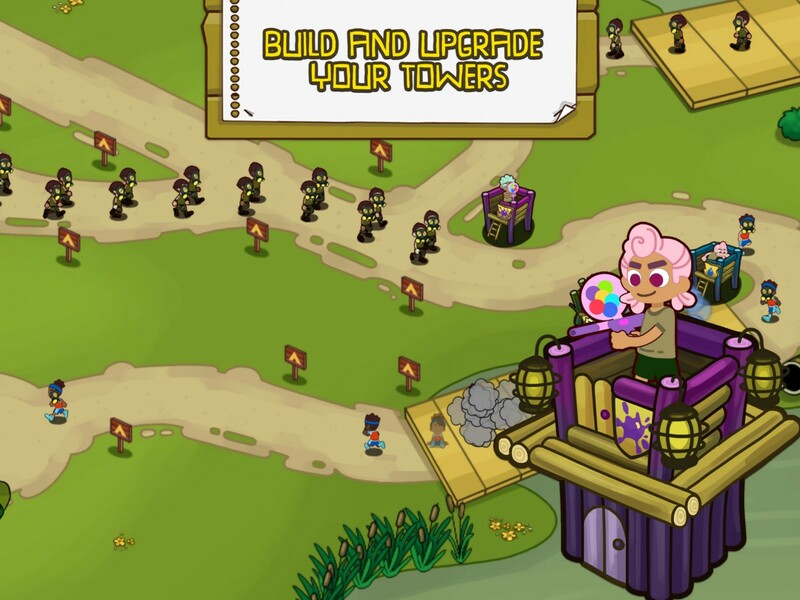 The core mechanic involves constructing towers that can be can be purchased in two ways: either with a limited reserve of cash or with credit that quickly accumulates interest. At the end of each level, any outstanding debt is balanced against remaining cash and the surplus is placed into a savings account. As the game progresses and increases in difficulty, players will realize that keeping their borrowing under control and maximizing their savings will be essential for success in the final stages. An approachable financial management system, designed with input from educators and financial literacy experts. An off-beat and humourous story, filled with unique and memorable characters. 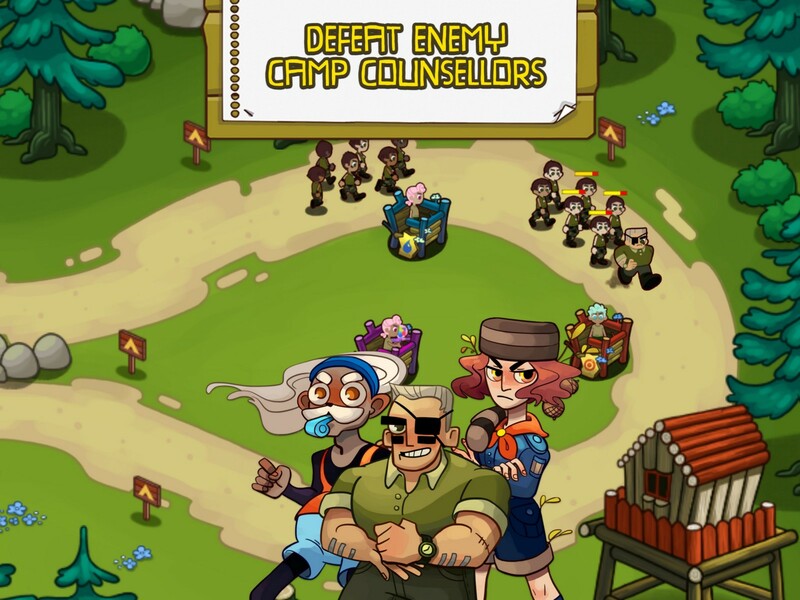 User friendly gameplay — designed to be accessible for first timers, but challenging enough for seasoned tower defence players. 4 unique tower types, with 3 upgrades each. 3 enemy factions to repel. 8 levels of tower defence madness. Save the Camp! Is completely free — no ads, no in-app purchases, ever! Developer: Tiny Hearts Studios, Toronto, Canada. The Learning Partnership is a national charity dedicated to building stakeholder partnerships to support, promote and advance publicly funded education in Canada. Since 1993, more than 6.5 million students have participated in The Learning Partnership’s programs. For more information visit www.thelearningpartnership.ca.